Sun’s out, bump’s out! To celebrate the warmer weather, we’ve rounded up some of our favourite looks for Spring maternity fashion. Whether you prefer a bodycon maternity dress or a cute high waisted skirt with cropped top, we’ve put together a few cute outfits to help show off that bump. Showcasing some of our favourites, including Bae the Label, Legoe, She Maternity, Queen Bee, Sage & Luna and featuring the super stylish Bugaboo Donkey Classic+ Navy Blue. Are you pregnant with a little one who still enjoys the pram? 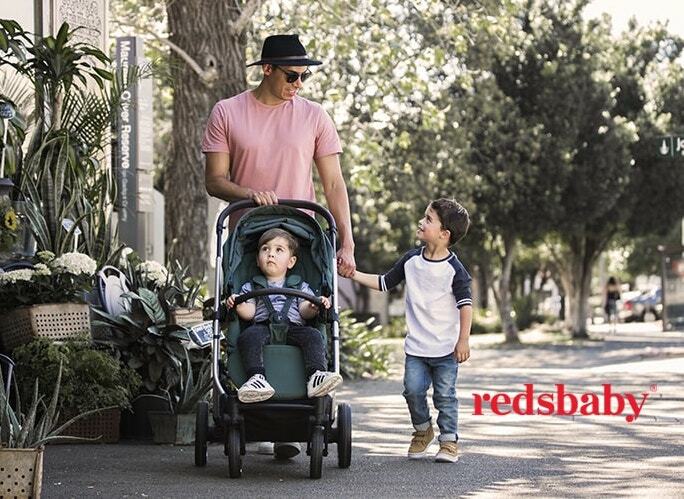 We love the Bugaboo Donkey’s versatility – easily transforming from a mono to a duo with only 3 clicks! You can shop these maternity fashion looks and more at One Fine Baby Fair. This FREE 2-DAY EVENT in Sydney and Melbourne brings together 100+ must-have brands & services for mother, baby and child. Choose from fashion, designer baby goods, interiors, stationery, photographers, health, arts & crafts and much more. The fair creates the perfect shopping experience under one roof. Yes, our stall holders love to offer show specials, competitions and giveaways.